Last week marked the midpoint of our class session, so we reviewed everything we've learned so far with a game. I came across this game in my local music store, and the students loved it! We played it as a matching game and it was a very fun and painless way to evaluate how much the students actually remember from the first 5 weeks of class. For piano repertoire, we worked on the concept of flexible wrist, closely following the detailed lesson in My First Piano Adventures. We also reviewed The Dog Song and The Frog Song. 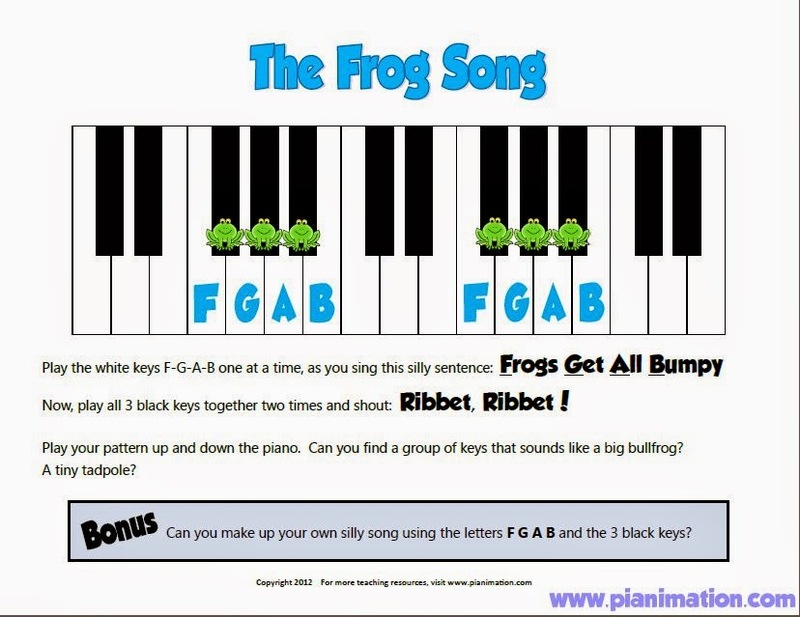 These songs are very effective at helping students remember the key names. Coming up, the class will learn and play L.H. Rainbows and R.H. Rainbows, found in My First Piano Adventures to reinforce flexible wrist technique. 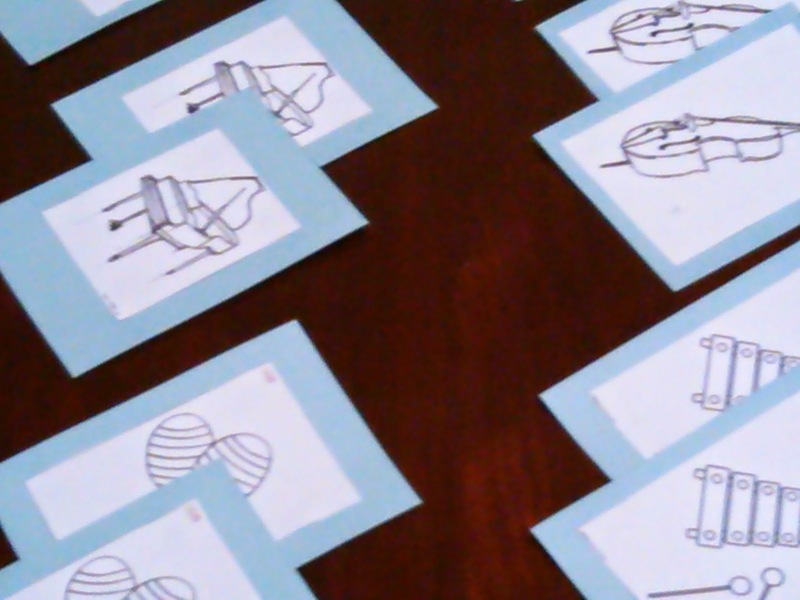 A part of class is going to be dedicated to aural skill exercises; and, if time permits, we will review rhythms and note values in a game I found on this awesome blog called Busted! I made slight alterations to the original game. 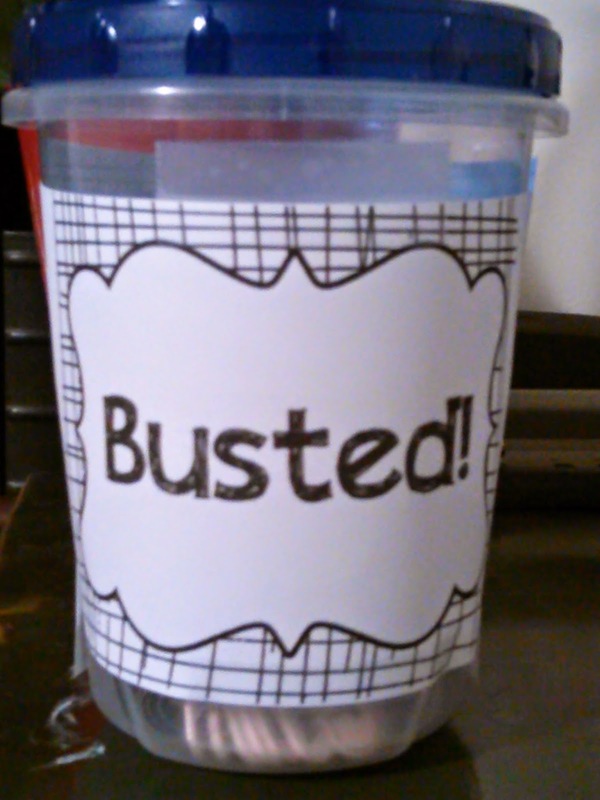 I chose to use uncolored sticks so that the students would not catch on to which sticks were the "Busted" ones. 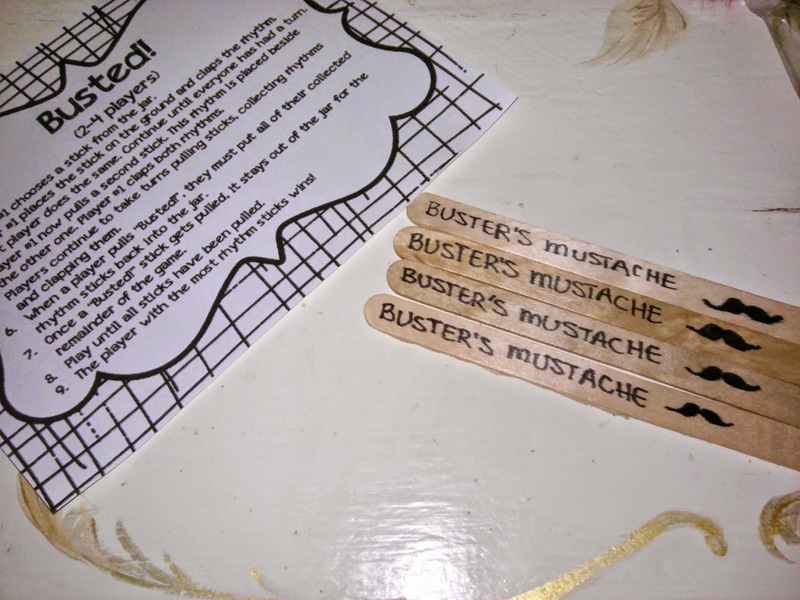 I also added a stick called "Buster's Mustache" because my students LOVE mustaches! When they draw a 'stache, they'll get to have a free turn. The Preschool Music Class made tambourines last week with decorated paper plates and dried beans! Next week, we will sing, play instruments, try some new fingerplays, and a game that I made. For the younger students (under 2 years of age), I'll ask the students to identify the instruments and place them in a basket. The older students (over the 2 years of age) will play this as a matching game. I've attached a PDF of the cards here. Simply print and cut them out, and then glue them to 2 3/4" by 3 3/4" cardstock cards.